Right now, my coffee is so good that I pretty much have had to force myself to put it down in order to write. It doesn’t help that I’ve been having some major writer’s block here! Nothing all that interesting has really been happening lately. 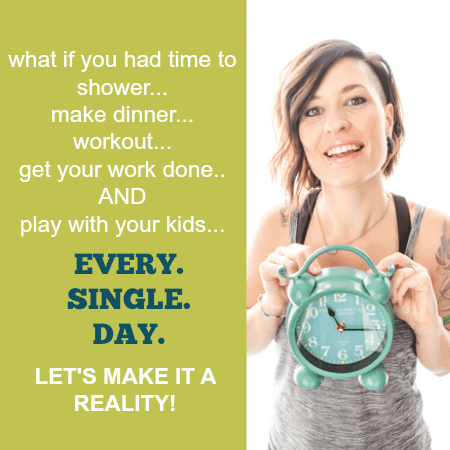 My big hot topics are how freakin’ sore I’ve been from weight lifting the last few days and how I’m trying to train my body to wake up at 4am to blog and get to the gym before work at 7. See nothing exciting. Except I do have a question for you on the weight lifting/soreness topic. Do you like the feeling of being sore after a good hard workout or after coming back to the gym or weights after a hiatus? I hadn’t lifted weights for over 6 months until last Friday. Since then, I’ve lifted every day, and every single muscle of my body has been sore. And sure it hurts to move a bit, but deep down, I really like the feeling. I don’t know if I just like the reminder of how hard I worked and that I’m going to get back into shape. When I start to get in shape and the soreness goes away, I know that’s a good sign, but I do kinda miss it. I’m weird. Anyway, just wondered your take. 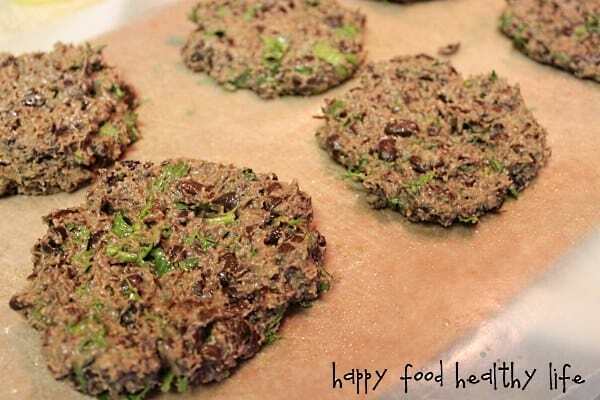 I had made these black bean burgers before, but I had forgotten just how easy and yummy they were. I actually doubled the recipe to make sure we had enough for lunch leftovers. Or you could always freeze them after they are cooked and then just pop them in the micro when you need a quick and easy meal. Also, I used Pioneer Woman’s salsa as a topping, and oh man, this is some GOOD salsa people! This is the salsa I couldn’t stop eating on Sunday. This was the first homemade salsa I’d made, and I don’t know if I’ll ever make another. It’s so so simple, and it makes a lot. Two large mason jars full. We may or may not have polished one of them off in two days… just sayin’. Don’t delay. Make this salsa soon, and you will not be disappointed. Use it to top these delicious burgers, along with some avocado, a little bit of ranch dressing, and some lettuce. Yum-O! 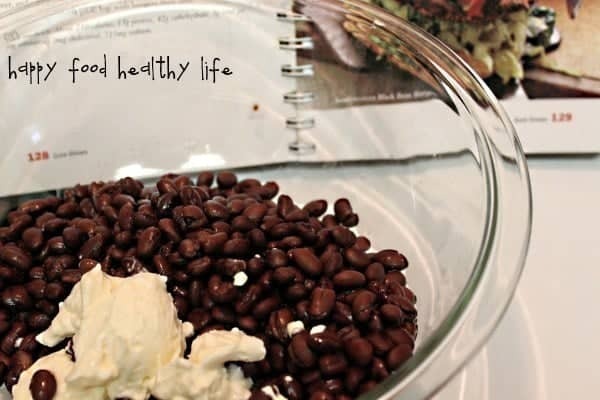 In large bowl, with potato masher or fork, mash beans with mayo until almost smooth with just some lumps. Stir in cilantro, bread crumbs, cumin, and pepper sauce until combined. 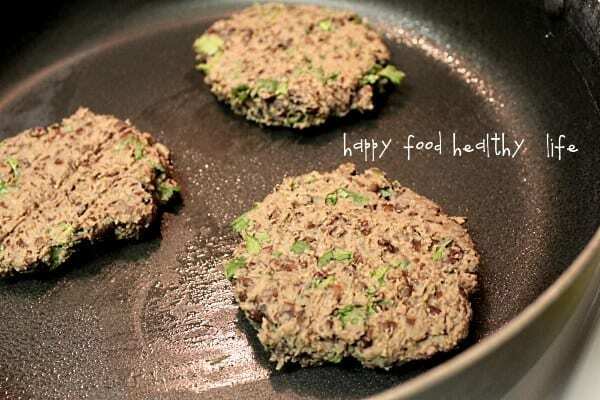 With lightly floured hands, shape bean mixture into four 3-inch round patties. Spray both sides of each patty lightly with nonstick cooking spray. Heat 10-inch skillet over medium heat until hot. Add patties and cook until lightly browned, about 3-5 minutes. 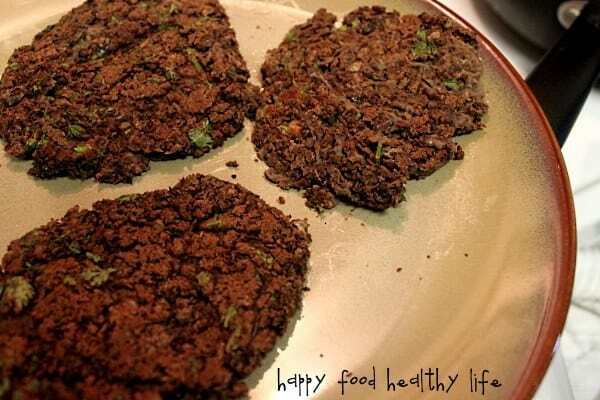 With pancake turner, turn patties over, and cook until heated through, 3 minutes longer. Serve in a warm pita with toppings of your choice. Like this post? Want more like it? 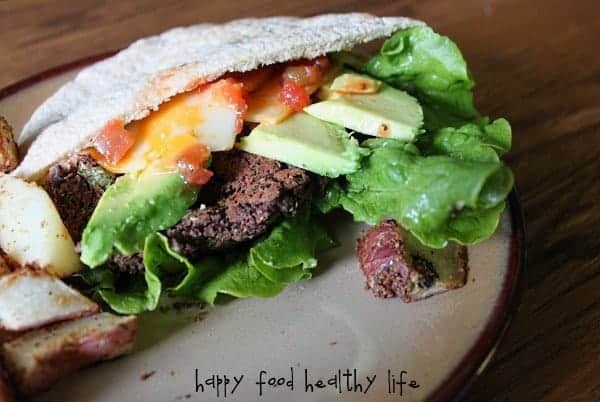 I don’t want you to miss a thing over here at Happy Food, Healthy Life, where food is something to be celebrated and enjoyed! Please subscribe to my RSS feed or email subscriptions. I’m also on Facebook and Twitter and would love to have you there! Thanks for sharing this recipe with me! It looks wonderful! I will give your recipe a try!! You are so welcome. 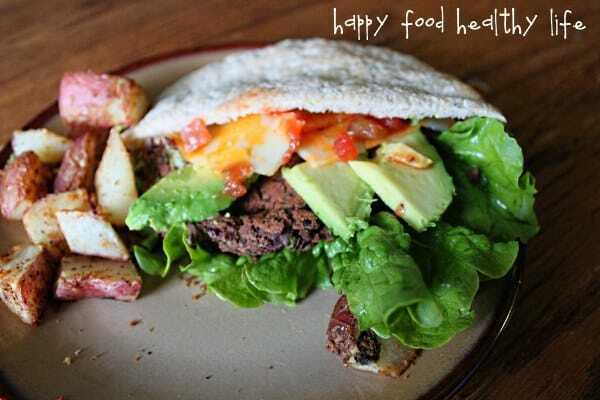 I hope you have better successes with black bean burgers! I bet your hubby would be surprised how tasty they actually are!